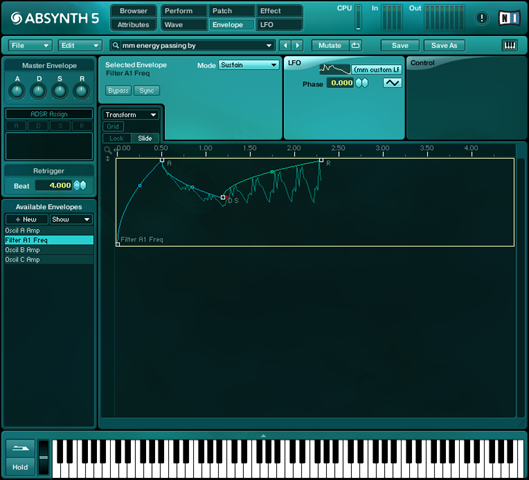 One of the coolest things about Absynth is that you can draw custom waveforms. The waveform editor is simply fantastic. Custom Waveforms are not just for oscillators. They can also be used for LFO’s. 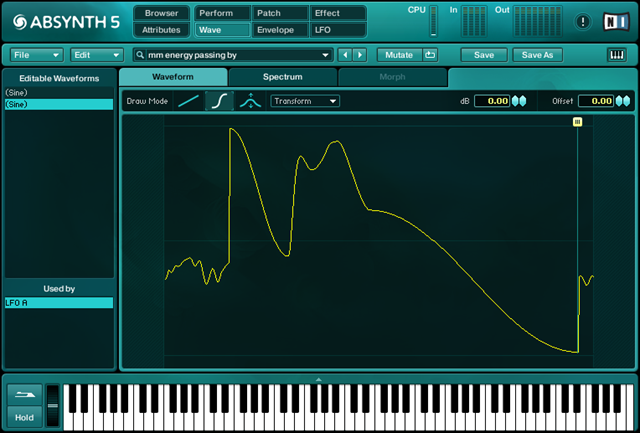 1) Click the button next to the LFO wave shape to open the waveform selector. 2) Click the “Edit” button. This opens the waveform editor. 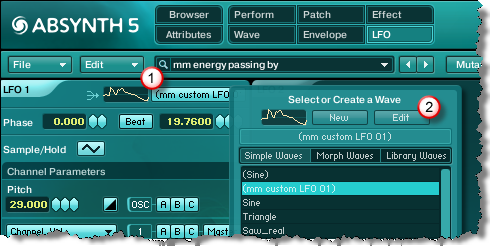 Use the editor to create a unique waveform to be used to shape your LFO. Try experimenting with the “Transform” function to shape your wave. 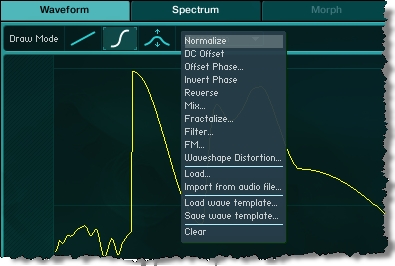 Click on the LFO to rename it so you can reference the wave shape and apply it to other modulations. Another cool feature in Absynth is that you can apply LFO to segments of an envelope. Just click on the LFO tab when working with an Envelope then click on the node at the end of the segment where you want to apply LFO. You can even apply the custom wave shapes you have created.